Whether you require an individual grille or a complete louvre clad facade we can offer a Ducoarchitectural profile either set into a frame or mounted onto concealed vertical supports. Our extensive grille range includes surface mounted types as well as frames that can be ‘glazed’ into window frames. We produce both open and security ‘chevron’ type profiles. All finishes can be supplied including powder coating and anodising and all to British Standards. 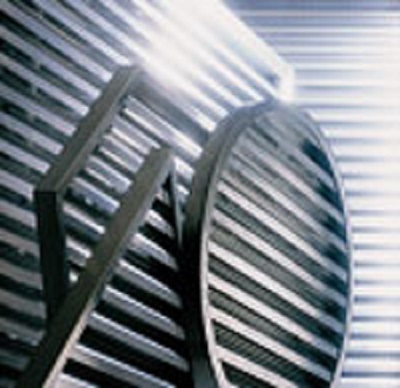 Our reputation for reliability and consistently producing purpose made louvre grilles to a high standard at competitive prices has made us the first choice of the trade buyer. We make the process as easy as possible, you simply supply the sizes, we do the rest! Image shown is a Duco Louvre Grille.